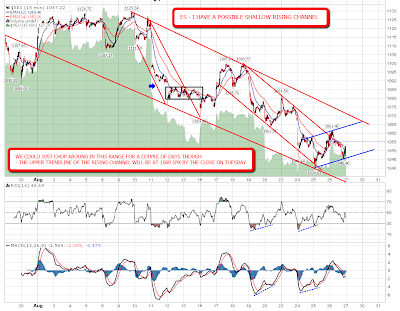 On the whole the indicators still remain bullish, copper was strong and USD was weak. EURUSD appears to be retracing some of the recent move down, but has struggled to get past the neckline of the big H&S pattern at 1.2735. 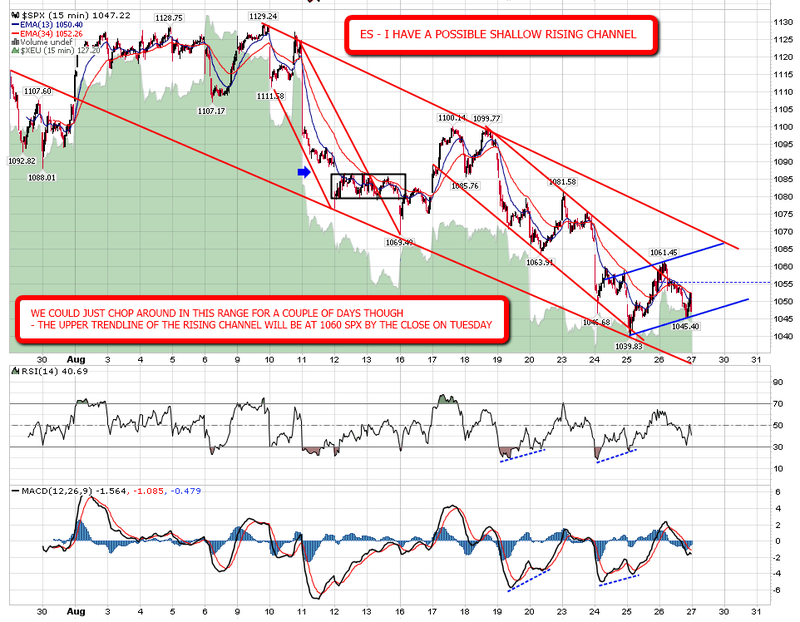 It may not get past it as that is a strong resistance level. I'm thinking that we touch the upper trendline of the SPX declining channel again before we turn down again but not all retracements are strong reversals. Some just chop sideways for a while until the other side of the channel reaches the trading range and that's what I'm now expecting to see. The bulls' best chance of a strong bounce was today IMO and their efforts weren't impressive. There's no compelling reason to be long here before Friday's GDP results and after that, unless the GDP figures prompt a break with confidence of Wednesday's low, then I'm thinking we'll probably see the rangebound trading that often happens around holiday weekends.